There is a multitude of GPS cardio watches. From the inexpensive, low-end hiking watch to the ultra-sophisticated, prices can range from $ 100 to over $ 800. 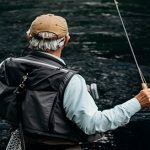 How to navigate and what watch to buy for outdoor? Should you choose an altimeter watch, an outdoor watch or a multisport watch? Here are some tips to help you in your choice and a selection of the best current watches. in addition to walking, you practice other sports and you are looking for a GPS watch to accompany you in these activities, opt for a multisport or outdoor watch. This type of watch embodies an impressive number of features and sports, including hiking, skiing, trail running, etc. It will be more expensive and, in general, a little more complex to use because of the many possibilities it offers. if you are looking for a watch dedicated exclusively to hiking or any other mountain sport such as mountaineering, trekking, ski touring, climbing, or adventure sport (exploration, bivouac, etc. ), it is better than to direct you towards a model designed for this activity. No need to pay more for a multisport watch if you do not use it. It’s a bit like buying a computer where a calculator would suffice. The altimeter shows the altitude and altitude as well as the weather trend thanks to its barometer (which is used to measure the altitude). Current watches also have the GPS that is used to indicate the position, follow a given route or record his route to display it on a map. They offer other useful functions for pedestrian activities. To choose your hiking GPS watch, you must take into account the features offered, the robustness of the watch, its reliability, its autonomy, its ease of use and its ease of use. The best hiking watches are ABC watches, ie with Altimeter, Barometer, and compass (compass) and possibly a thermometer. These instruments make it possible to find and orient yourself from a map and to predict weather changes. Most current touring watches also offer GPS, a useful feature. The GPS indicates your position, altitude, speed, distance traveled, climbing speed and many other data that it can record for a display (route taken, graphs, statistics, etc.) on PC or Smartphone. We recommend this type of watch. The ideal is a watch that allows to program and follows a given route, to record points of interest along the route and if possible that indicates how to return to its starting point. Some watches can even display topographic maps. In addition to these functions, the hiking watch can inform you about the sunrise and sunset times, the weather trend and warn you in case of storm or thunderstorm. prefer a solid watch (polymer or metal case, anti-scratch sapphire crystal bezel) and water resistant (minimum 3 ATM). Some brands offer interchangeable bracelets in various materials (leather, metal, silicone) to better adapt its watch to its environment. A watch for hiking must be reliable. 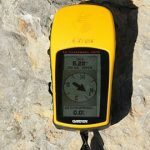 The best GPS hiking watches have GPS and more and more GLONASS (Russian satellite system), a barometric altimeter (more accurate than GPS) and a well-designed software (prefer a known brand). GPS watches are energy-hungry, especially with the use of GPS. Be sure to choose a watch of sufficient autonomy, especially if you plan a hike over several days (trekking, trekking, bivouac). Some watches offer an energy-saving mode (more spaced GPS recordings) which increases the battery life tenfold. the watches for the hike can be more or less thick and heavy. Garmin offers, with its latest Fenix 5, several diameters of housings to fit fine wrists and interchangeable wristbands. Also check the screen and its ease of use (size, number of pixels, with or without color, anti-glare, readable in the sun, tactile or not). although very complete, the multisport watch can be a little more complex to use than the watch dedicated to mountain sports. Prefer this one if your goal is to use it only for hiking.